Well, look at that…it’s been about two months since I last updated my blog. Sorry about that, folks! I’ve been hard at work on another project that I will hopefully be able to share with you soon. During this unplanned blog hiatus, [BIG ANNOUCEMENT!] I got engaged, then went to Jamaica for what had become an engagement celebration vacation with my boyfriend fiancé. 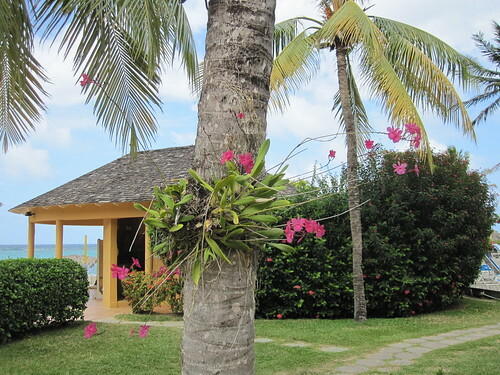 We stayed at The Jewel Dunn’s River in Ocho Rios, an all-inclusive resort, and we had a really amazing time. 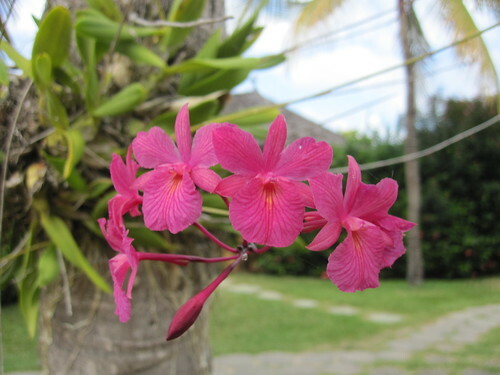 On our second day there I noticed a beautiful orchid in bloom attached to the trunk of a palm tree on the resort grounds, and once I saw that one I started seeing them everywhere! So that was a cool way to end our time in Jamaica. Yeah, it was pretty spectacular. 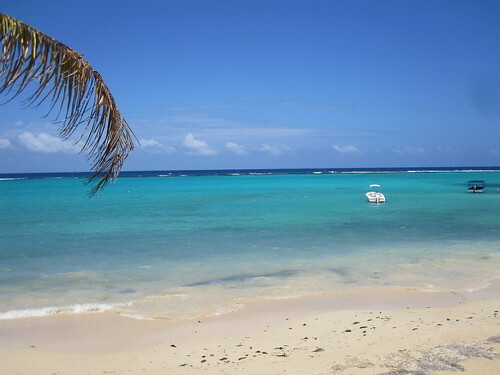 Okay, this post is really not all about our Jamaica trip. I have some cool things going on with my orchids at home, so I took a few photos this morning to share here. I apologize in advance for the somewhat crappy iPhone pics…I took better photos with my real camera and then realized that my connector cord is currently sitting at my fiancé’s office at Brooklyn Winery. First and most exciting is that my Oncidium Pacific Sunrise ‘Hakalau’ is in spike!! This is one of the two Oncidiums that I bought at Gallup & Stribling in Santa Barbara last fall. I’m super excited about this one because 1) the blooms are gorgeous and 2) they’re very fragrant! Lesson for today: DON’T EFF WITH YOUR SPIKES! Just this morning as I was misting my orchids I noticed that one of my Phals is growing a second basal keiki. The first basal keiki is still attached and is just about the same size if not a bit larger than the original plant. In the photo below, the original plant is in the center, the first basal keiki is on the right side, and the new keiki is sort of further down inside the pot (it’s very small at this point and hard to see in the pic). I mounted my Mule Ear Oncidium to the tree fern plaque that I bought at the New York Botanical Garden after visiting the Orchid Show a couple months ago. 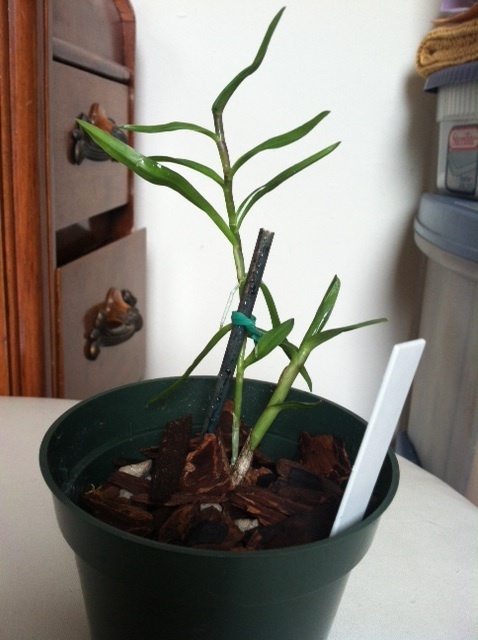 It seems to be doing well and has begun to put out a new growth, so that’s a good sign. I probably went a little overboard with the fishing line but I wanted to make sure the plant was securely attached. Oh, and one of the two Phalaenopsis that I’m growing in the office at Brooklyn Winery is putting out a spike! I took a picture but apparently I deleted it, so I can’t post it here right now. It’s one of the two orchids that my friend received potted together as a gift and then gave to me to care for. I’ve actually been pretty negligent in caring for the one at the office, watering it about once every two weeks (it’s potted in sphagnum moss so it stays moist for awhile) and hardly ever fertilizing it, so I was surprised to see a spike. It’s amazing how hardy orchids can be! That’s about it for now. Hopefully I will have some beautiful Oncidium blooms to post about soon! My deepest sympathies go out to you regarding the broken flower spike. I’ve dropped or knocked over a few orchids over the year so know how you feel. Total bummer. Hopefully, you’re not beating yourself up too much over it. 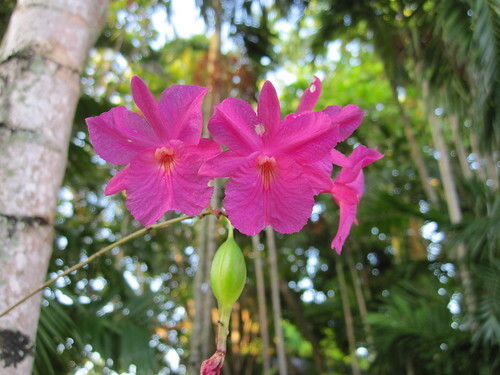 Pingback: Help IDing epiphytic orchid in Jamaica - Orchid Board - Most Complete Orchid Forum on the web ! After blooming instead of my whole spike thing down it grew leaves at the very top what do I do. Can I start a new plant from it?